With sincere apologies to my friend Sean McMains, I decided to create my own post-mortem to do list. This is the Thanksgiving edition. Make Thanksgiving turkey and dressing. Argue with Elisa about whether it is called dressing or stuffing. Make sweet potato casserole with enough butter, cinnamon and brown sugar so that you can hardly taste the sweet potatoes. Marvel at the fact that the kids won't eat it, even when it is smothered in marshmallows. Watch the Macy's Thanksgiving Day Parade on the DVR while preparing dinner. Wonder why Al Roker's commentary on the Snoopy balloon was worth recording at all. Clog up the sink while preparing Thanksgiving dinner. Spend the better part of the day trying (unsuccessfully) to unclog it. Put Miracle on 34th Street on the DVD player to watch. Be surprised when it is over and I'm still under the sink. Go shopping on Black Friday for a 25-ft drain auger to unclog the kitchen sink. Feel strangely proud when the sink drains. Decorate Christmas tree. Wonder why we are decorating a flimsy artificial tree when we live in Oregon. Consider un-decorating and replacing the tree next weekend. Stop hiding the fact I've been listening to Christmas music for two weeks already and put the Christmas playlist into full iPod rotation. Take nap on couch while watching college football. Smile. Take the kids up to Mount Hood to go sledding. 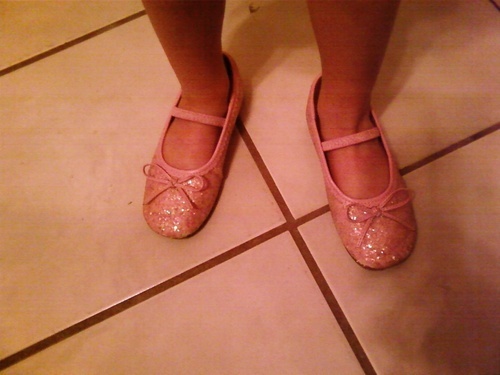 Be reminded of just how old you are with every bump. Use the ground as a very large ice pack. Make fudge using my dad's recipe. Wonder why I can never get it to come out right. Wake up late for work on Monday. Be thankful that I'm a college professor. I just took a nerd test. Apparently I'm not nerdy enough to pass the nerd test. Too bad that choral music wasn't a category, 'cause I'd ROCK that nerdiness! 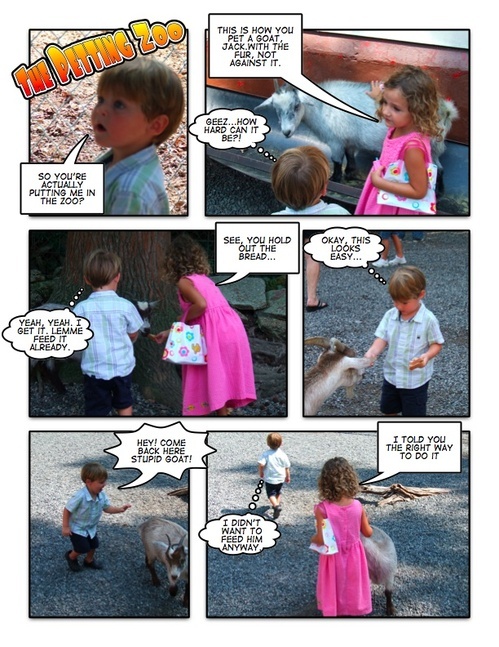 U.S. Americans Public Speaking, Such as and. I'm not a big fan of bashing elected officials for any reason, but this video is just plain funny. Before you criticize either of them too harshly, try to remember that time your mouth was moving and your brain was saying, "Holy cow, did I really just say that?? What am I even talking about?!" Then imagine you were on TV! 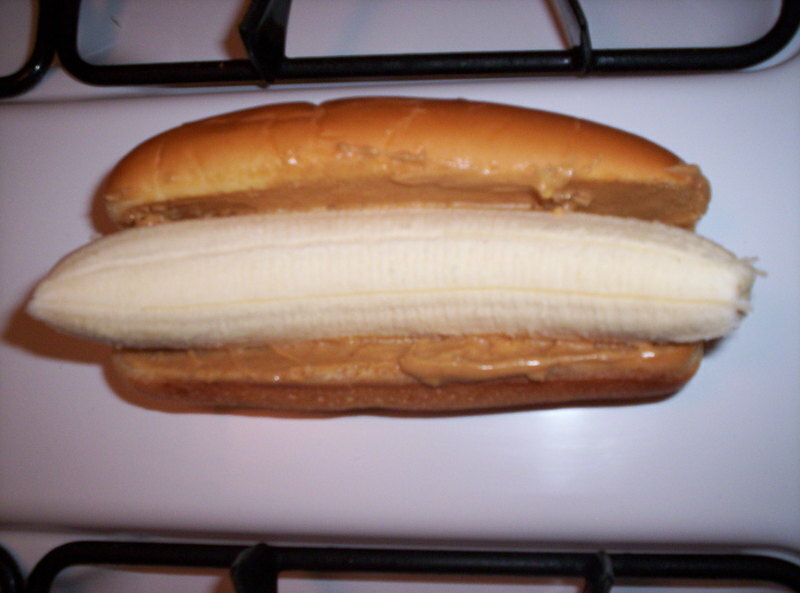 I must admit, I like peanut butter and banana sandwiches. 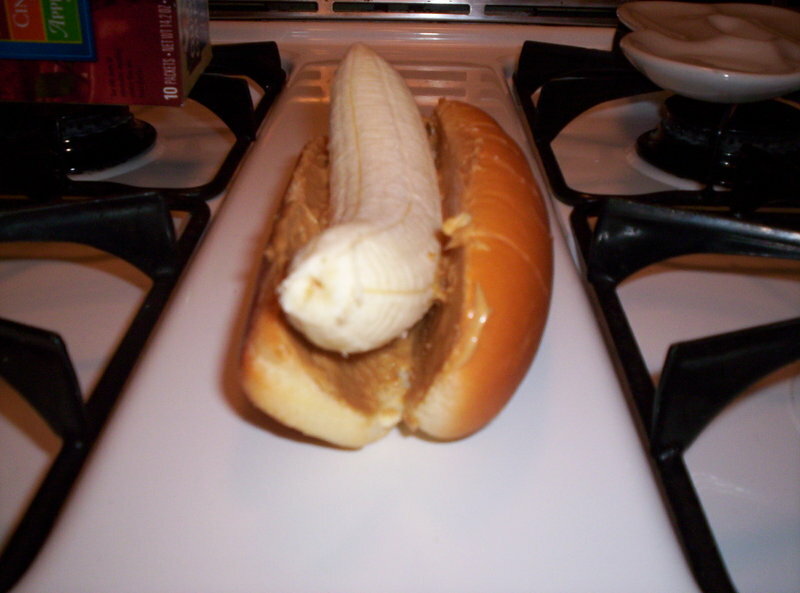 The only problem I have is the inconvenience of slicing the banana and the frustration of preventing the slices from sliding out the side of the sandwich. 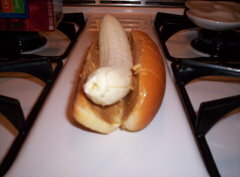 In a flash of brilliance, I invented the PB-Nana-Dog. 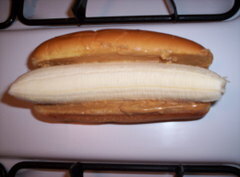 A hot dog bun covered in peanut butter with a whole banana inside. Voilà!